Chen Family Taiji Quan is one of the ancient schools of its kind. It’s extremely popular among Taiji practioners all over the world, chiefly for its unique movement and action, soft but firm, wrapping and retreating. 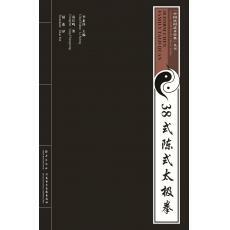 38 From Chen Family Taiji Quan is the basic for those who want to practice Chen Family Taiji Quan. Created by Chen Xiaowang, the 19th descendant of Chen’s, the program of martial art is made up of 38 postures, which are easy to practice and set as a requi-red course of higher education. This book adopts the three-dimensional teaching method of diagram, words and video. The authori-tative are invited for technical performance and teach-ing demonstrations, guaranteeing the learners to gain the real technical method transmission.